Are you ready for some fun turtle facts for kids? Find out where turtles live, what they eat and much more. Read on, and enjoy our amazing trivia about these cute animals. Share these amazing facts about turtles with your friends! 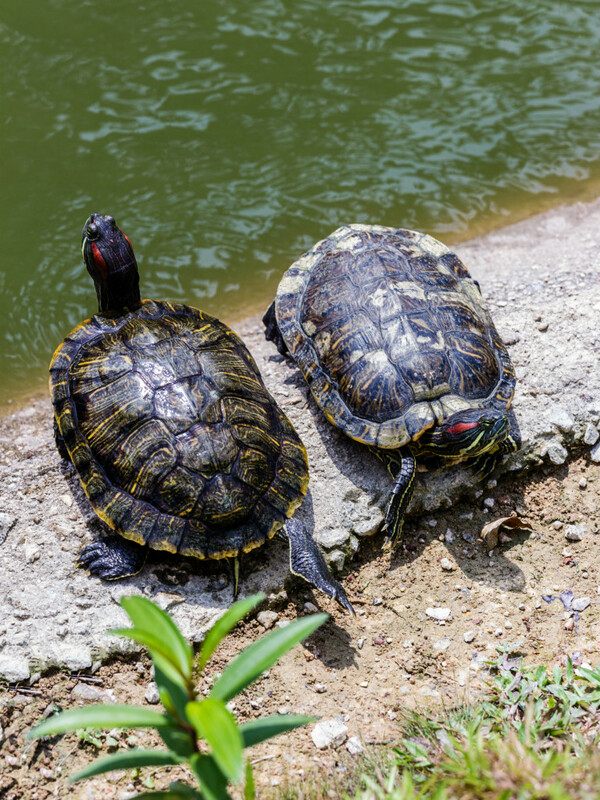 Turtles are scaly reptiles with oval-shaped hard shells. There are about 250 species of turtles. Some turtles can live up to 150 years or more. Some turtles can live for more than a year without food. Turtles diet consists mostly of shrubs and plants. Turtles range in size from the 4 inch Bog Turtle to the 1500 pound Leathery Turtle. Turtles don’t have ears, but can perceive low-pitched sounds. Turtles have good eyesight and an excellent sense of smell. Just like us, turtles have favorite colors! Turtles breathe without a diaphragm. Some turtles can dive 3,000 feet below water surface. Males select potential mates by sniffing tails. Turtles lay eggs under sand or soil and leave to never see them again.